Our first recommendation to new members: If you are new to options or to our strategies, start with paper trading. Then start with small positions and increase the allocation gradually as you gain more confidence. Even if you have some experience with options, it always takes some time to get used to new strategies. This way you learn how to enter orders, adjust trades, and more importantly learn from your mistakes without losing real money. Many members tell us that they don’t like the idea of spending money for the subscription and not having even a potential return on that investment, because they are only paper trading. My response is: When you go to college, are you trying to earn back your tuition fee after one month? No, because you understand that this is an investment into your future. No medical student would expect to even touch a patient during his first years in medical school – yet for some reason, people think it is different in trading. There is a reason for this recommendation. As many members find out the hard way, “learn first trade later” is not just a cliche. Jumping right in, especially if you are a novice trader, usually has an opposite effect. Traders are making decisions based on their emotions. It is imperative that you understand how your emotions are shaping your trading decisions, before you become a winner in this game. Big Drawdowns Are Part Of The Game. They are inevitable if you want to achieve good returns. Too many people quitting after a streak of 4-5 losing trades. Losing money is part of the game. Learn how to deal with your losses – and you will become a better trader. Getting good fills is part of the learning process. Over time when you gain more experience, you will learn how to get better fills. Many of our members started as complete novices and now they get better results in some cases. But those things take time. Which brings me to the next “cliche”. To become an engineer you have to study 4 years, and probably another 4 years (at least) to become a good one. Why people expect it to be different in trading? Some researches would say that you need to spend 10,000 hours to become proficient in any field. Everyone is different, and some traders might need only 1-2 years to become profitable. But we have to accept the fact that trading, as any other highly competitive discipline, takes a lot of hours in front of the screens and practice. 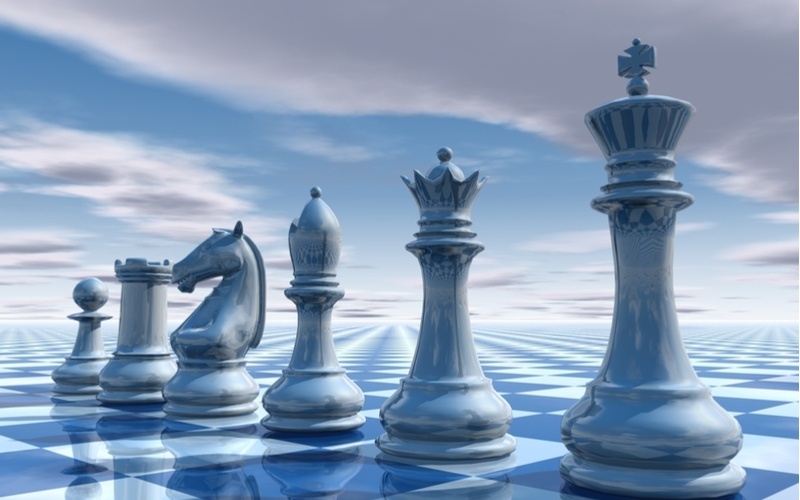 It does not matter how good your trading system is – you will not win 100% of the time. It’s a fact. At some point, you will have a losing streak. Learning to deal with your losing streaks is a big step forward. After a losing streak, your first impulse might be to overtrade in attempt to recover the losses. HUGE MISTAKE. The market doesn’t know that you have lost money. And it doesn’t care. If you tell yourself “now I really need some nice winners to cover for the losses”, it’s a safe path to more losses. What happens is that you get frustrated and angry. You decide to take revenge on the market and make all your losses back and then some. So, the next trade you make, you increase the number of contracts or shares because your rage is overpowering your discipline and you’re sure that this trade will be “the one”. And…you’re probably wrong. The trade turns out to be loser as well and your account is even deeper in the hole. What separates good traders from bad is how you react to your losses. “There’s a difference between knowing the path… and walking the path.” – Morpheus. To paraphrase Morpheus sentence, “there’s a difference between knowing that there will be losers… and actually experiencing them”. In a probability game, it is guaranteed that we will eventually experience a string of losses. The right thing to do is continue to execute your trading plan that has worked for you. The real challenges are different nuances of patience and discipline. Part of trading success boils down to proper money management and not gunning for those high-risk “home-run” type trades that involve too much capital at one time. In the trading environment, we will win and lose. However, we need to be more right than wrong and when right, be big on right. When I was winning I averaged up. But when it started losing, I didn’t cut the losses. As you may know, options swings a lot +/- 30-40% in one day isn’t surprising. Imagine if you are fully invested and if the tide turns opposite to your direction, you can lose 30-40% in one day. My rule is risking a maximum of 5% of overall portfolio per trade/underlying. You may choose yours, but have one in place. Learn to use risk/reward measure before starting a trade. In our model portfolio, we allocate 10% per trade. Since most of our trades risk around 25-30% (there are some exceptions), we basically risk up to 3% of our portfolio in each trade. In some strategies we allocate half position, or 5% of the portfolio per trade. Those are higher risk trades that can potentially lose 50-80%. Our long members know that we preach those “cliches” almost on a daily basis. Most people underestimate the role of psychology and emotions in trading. Many years later, Tharp admitted that he was wrong. Now he thinks that Psychology accounts for 100% in trading success. 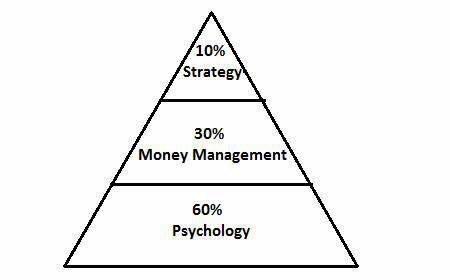 We can argue about the exact percentage, but there is no doubt that trading psychology plays HUGE role in trading success. I hope this article will help you to overcome some of the psychological pitfalls that every trader goes through.